In this review/ tutorial I'm going to show you step-by-step how to use each of Thrive Leads' features to grow your email list FASTER than ever before. And, place them anywhere on your site with ease. In Thrive Leads, you can organize all the forms you want to display automatically on the site into different Lead Groups. Within each Lead Group, you can create and edit multiple opt-in forms at once, set them to appear in multiple places, and set up A/B tests. Above, you can see I've organized my lead groups based on the different lead magnets offered on the blog. You can add as many different forms to the lead group and instantly see how well each form type is performing based on conversion rate and number of emails collected. For example, my content promotion ebook Lead Group has collected 888 email addresses in 60 days using the ribbon, lightbox, widget and post footer opt-in forms. And I can see the popup lightbox captured 716 emails, converting at 5.45%. ​Let's take a closer look at the different opt-in forms available inside the Lead Groups. Note: There is a short video at the end of this section showing you step-by-step how to use Lead Groups to create forms and target them to specific content on your site. Click here to skip to the video. Thrive Leads makes it easy to deploy and test light box popup forms across your site. As the popup displays - overlaying the content - the rest of the site is darkened. This helps the form stand out. There are many different templates to choose from (more on that later). Thrive Leads also allows you to set device-specific triggers. Since you can't capture exit intent (when someone is about to leave your site) through mouse movements on mobile, you'll need to set a timer trigger for mobile users, or just disable the pop up for them altogether. Tip: Go to the Audience >> Mobile >> Overview report in Google Analytics and look at the average session duration for mobile devices. Use that number for your mobile trigger time. It will be skewed by bounce rate, but it's a good place to start. The header ribbon is a slim bar that appears at the top of the page and stays there as the reader scrolls down. This keeps the opt-in form front and center at all times. Maybe when you started blogging, you said to yourself "I'm not installing any annoying popup boxes!" This way you're making sure the reader is actually interested in your content before asking them to opt-in for more, and that you're not immediately turning them off. Alternatively, if you want to be more aggressive with your list building you can show a popup and a slide-in form on the same post. Set the popup to display shortly after page load and the slide-in form to show when the reader reaches the end of the post. Sidebar widgets are a great way to immediately draw attention to your lead magnet. Automatically add opt-in forms to the bottom of your content. Again, if a visitor reads all the way to the end of the post they likely enjoyed it, and will want more. This is the perfect time to ask for their email address. The post footer is a great way to promote content upgrades. A content upgrade is a lead magnet specifically related to the content a user is reading. Note: You can also use Shortcodes to achieve the same result, with greater placement control (keep reading). And set which pages you want the form to display on. In this example, an opt-in form will be placed after two paragraphs in each post/page selected in the targeting section. This is a lightbox that fills the entire page. It's a very aggressive list building strategy that could annoy some people. As a result, it's default frequency is set to display every 7 days. Thrive Leads offers a full library of pre-built opt-in templates - grouped by design. Note: Thrive Leads is adding new template designs and features almost every week. Once you've selected an opt-in template you'll be taken to the Thrive Leads form editor - one of the most powerful features of the plugin. The editor gives you access to all the page elements and editing capabilities provided by the Thrive Content Builder plugin. Basically, you can add, remove or customize any form element with ease. Drag and drop form elements, adjust text, font size, color, alignment, margins/padding and add custom CSS. Click on the element and use Thrive Leads' WYSWIG editor to customize. You can also save your favorite colors. Slide the bar left or right to control how many seconds after page load the form displays. Note: All Thrive Leads' forms are mobile responsive (look good on all devices) and can be set to lazy load (load after the content has finished loading) which keeps your site running fast. The last thing you want to do is annoy your readers by bombarding them with the same opt-in forms every time they open a new page on your site. Thrive Leads allows you to set the display frequency for each form - how much time needs to pass before the same visitor will be shown the same form again. Click the link under "Display" and slide the bar to how many days you want it to be until your readers see the opt-in form again. Interestingly, after a LOT of A/B testing I've found that more aggressive display frequencies consistently produce higher conversion rates. I currently have my forms set to a display frequency of "0" days - the form will be displayed all the time. Be sure to run a/b tests (shown below) to find the best display frequency for your site. Besides trigger and display frequency settings, you can also customize the animation settings of lightbox opt-in forms. Animations are configured within the event manager. Form animations are a great way to quickly capture the reader's attention. This function can help you create scrolling effects that capture the attention of the readers as they are scrolling through your content. To open animation settings, go to ​the lightbox forms' individual page - either in 2 Step Lighboxes or inside a Lead Group and click the "edit" button. After you select an animation setting you'll be shown a live preview. This is exactly how the lightbox will appear on the site. This is another powerful feature of the Thrives Leads plugin. A few of the major lead generation tools out there have this feature. However, none are as robust as Thrive Leads. It allows you to select which specific pages/posts you want to target/exclude with the opt-in form. And the ability to only show forms on desktop or mobile devices. This can help improve user experience. These advanced targeting capabilities makes it easy to launch content upgrades (a content-specific lead magnet). By providing an ultra-targeted (and relevant) offer to my readers I was able to get a 7.05% conversion rate and collect 166 new email subscribers in 11 days! Creating content upgrades doesn't have to be complex or time-consuming. 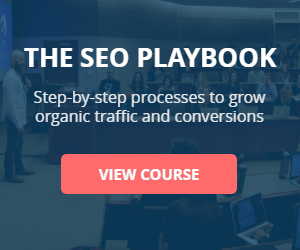 In fact, I created the SEMrush playbook in seconds. All the links will pass from the post into the PDF. This is very helpful if you plan on promoting affiliate products/services in the PDFs. Content upgrades convert so well I'm building out one for each post on my site. Thrive Leads provides shortcodes you can paste anywhere on your site and immediately have an opt-in form display. No coding or technical skills required. This way, readers are given the opportunity to opt-in to your email list as they are reading. This strategy is perfect for placing content upgrades throughout posts and embedding sign up forms on high traffic pages. Copy and paste the shortcode where you want it to appear on the post/page. You can add as many shortcode opt-in forms as you like and quickly see which ones are converting the best. Content Locks are a new feature of Thrive Leads. Wrap a shortcode around any block of content to gate it with an opt-in form. Edit the shortcode forms the same you do with the Lead Groups. A two-step opt-in form is different from the other form types covered above. You can use two-step shortcodes to make any page element an opt-in form. For example, in this post I use a two-step opt-in forms to make a button click trigger a popup to display. Do you want to double or triple your email opt-in rate and grow a profitable email list faster than ever before? Download my ebook, "The Ultimate Thrive Leads Playbook" below and learn step-by-step how to collect thousands of new email subscribers on autopilot. Similarly, you can make text links trigger a lightbox. Learn how to make a content upgrade in less than 5 minutes. You can add two-step opt-in forms anywhere in your content by simply wrapping a shortcode around the page element you want to have trigger the form. The psychology here is that people are more likely to click a button or a link than enter their email address. After they have clicked a link they have subconsciously committed themselves to the process and are more likely to complete it by entering their email address. Multi-step forms add an additional layer of interaction to pull the reader into the opt-in process. They are designed to get more subscribers by posing a question or additional layer of interaction the user cannot resist to engage with. It works by displaying an offer to the reader and asking them if they want to take advantage of it or not. If the reader clicks no the form will disappear. Ask your readers a question that aligns with a pain point. By clicking the button, the reader is indirectly communicating a need for the solution your lead magnet/offer provides. In this case, a way to get more people to visit their site. You can also use multi-step popups to promote affiliate products and monetize your blog traffic. If they purchase Thrive Leads I get a commission on the sale. Thrive Leads provides the best A/B testing engine I've ever seen in a WordPress plugin. You can set up these tests in seconds. That's a 91% increase and an extra 56 subscribers over a two week period. The ability to test different opt-in form types against each other. For example, I might want to run a test to see if slide-in forms convert better than popups. In this short video tutorial I'll show you how to set up and deploy A/B tests and reveal the simple trigger test that increase my opt-in rate 91! Thrive Leads connects to all the major email service providers. Up until recently you could only connect to autoresponder services by pasting the HTML code of the signup forms generated within those services. Now users can connect forms to their email service provider with a single click via API connection (much easier). Thrive Leads now provides an API connection for most of the major email service providers. Don't worry, connecting your form is easy. Should you invest in Thrive Leads? Thrive Leads is the most powerful all-in-one list building plugin I've ever used. The tool makes it easy to set up and A/B test every type of opt-in form imaginable - lightbox popups, widgets, slide-ins, in-content, screen fillers, post-footer and ribbons. A range of form triggers - including exit intent - and display frequency settings give you complete control over when and how often people see certain forms. A built-in integration with Thrive Content Builder's drag-and-drop editor makes it easy to customize forms and add over 30 different page elements. If you don't want to worry about design, select a template from a full library of pre-built opt-in templates. The tool provides advanced targeting options so you can make your opt-in forms and lead magnets extremely relevant to the content your audience is reading (content upgrades) - this will drastically increase your email signup rates. If you're serious about building your list, I highly recommend you get a copy of Thrive Leads. You nailed it with this thrive leads review.I am also using thrive leads on my blog and i know how great this plugin is.But as i said,you just nailed it. Thanks Abdul! It’s a great tool. Wow – this has to be the most comprehensive review I’ve ever seen for any of our products! How logn did it take you to put this together? Awesome review, thanks Robbie – we’ll be sure to share it! Awesome, thanks Paul 🙂 Fantastic tool! Is there any chance you would promote the review on the Thrive Themes blog? This review took me 30+ hours to piece together (over the course of a month). Thank you for this awesome guide, I was thinking of installing it on my blog and now after your guide I’ll go ahead! It looks way more powerfull (and less expensive) than sumome. Thrive Leads is a great tool. Let me know if you have any questions along the way. Thank you for this detailed description of everything in Thrive Leads! I will be referring to this post often as I learn how to use all the features on the Thrive Leads I just purchased. You mentioned being able to use Thrive Leads for targeted content upgrades. I understand how to place the lead box on different pages, but how do you send each different upgrade to the subscribers on the various targeted opt-ins? That is the one piece of the puzzle which is missing for me and if you can point me in the right direction, I will be one happy camper! Mail Chimp is the email subscriber that I use. As for the delivery of the upgrades, you’ll need to create separate lists within Mailchimp and connect them to the appropriate content upgrade. At least, this is how I do it within GetResponse. Thank you for your quick response. When you create different lists within, do you merge the lists into one newsletter list? I’ll build a targeted autoresponder off each lead magnet. Right now, I’m working on building out mini sales funnels for each too. Once people move through the autoresponder I’ll move them into a broadcast list. It’s probably my first visit to your blog and this review of thrive leads have inspired me, to be honest I’ve never came across this wonderful product but i must try it as I’ve been struggling really hard to boost my email list to a larger extent. I’ve really heard and read a lot of wonderful and impressive reviews about this Thrive. I don’t think I’ve seen any other theme or product that is as sophisticated as Thrive. Both Thrive leads, Thrive content builder and their themes seems to be a no brainier and I’m thinking of buying the whole package. I’m using Thrive Leads AND Thrive Content Builder on all my websites now. An absolute game changer if you want to grow your email list and quickly deploy and test landing pages. Be sure to download my Thrive Leads review ebook and get the 3-step list building strategy that is getting me 620+ new subscribers a month. Will download the playbook away and will also purchase Thrive Content Builder later when i get money. Cheers Theodore! Let me know if you have any questions about the tool. As I commit to getting my blog up and to 1,000 subscribers this year, I will definitely be turning to your articles for advice. Great, thanks Danny! Let me know if you have any questions along the way. Both Sumome and Thrive Leads are fantastic tools for list building. This Sumome guest post will provide more guidance http://sumome.com/stories/more-email-signups if you choose to follow that path. I just finished uploading the plugin. Thanks for the review, Robbie. Sweet! Thrive Leads is a powerful tool for sure. So much functionality. Let me know if you have questions along the way. WOW Robbie, This is a very wonderful review. Cheers Damian! Let me know if you have any questions about Thrive Leads. I am using Aweber lightbox to collect the emails, conversions are ok, but I am not satisfied with them after reading this Thrive leads information its looking wonderful to display multiple lightboxes in single page, I will try this service to improve my subscribers, thank you very much for showing the way to collect the emails in a descriptive manners. See you soon with another article. Awesome, thanks Siddaiah! Thrive Leads packs a powerful list building punch for sure. Let me know if you have any questions about the tool. Hi, I optin for the free thrive playbook but didn’t bet the email for confirmation, can you please send it. I just emailed a copy. I have no automated email responder where will the new optin contact goes? where can I see them whenever somebody optin? Giovanni, I highly recommend signing up for a free Mailchimp account and creating a list. You won’t have automation on the free account, but you’ll be able to collect emails and build a list. Free up to 2,000 emails. Also, in Thrive Leads they have a feature called Asset Delivery that you can use to deliver lead gen assets without redirecting to a custom thank you page. for using thrive themes. I am making my go to reference for incorporating thrive themes as part of my marketing. has release since then ? I know it is a lot of work. But you do a great job in your guide. Thought I would ask. I’ve recently purchased Thrive Leads but seems that doesnt work with my current theme which is Schema. I see that you’re using Thrive Leads with Genesis Framework. What do you think about this combination? Is it working fine for you? Thrive Leads works great with Genesis 🙂 I’d give the guys at Thrive a shout out and let them TL is not working with your theme. I’m guessing a big caveat is you actually have to be getting traffic to your site? I have friends who like Thrive and those who like the other one. Hi Robbie, what a great post. I want to ask you a favor. I have my free ebook in PDF format which I upload to “Media”. Then I create a form in content using thrive leads. My question: how can I do in order when a person become a subscriber receive immediately an email in his email account? I have the URL of the ebook in PDF; I have the form and I have the mail service. Could you help me how to solve this puzzle? Please explain me “for dummies”. Hey Marcelo, what email service provider are you using? You’ll need to create a dedicated campaign that triggers a custom thank you or welcome page. I recommend you have double opt-in set up too. Hello Robbie, good tutorial. Thank you for sharing. Your current overlay non-pop-up with a big photo of you (built within the page) that appears immediatlty when a user arrives to your site was built on Thrive Leads too? Hey Eduardo, glad you enjoyed the post. Actually, that one is made with the Sumome Welcome Mat. I’ve been testing a couple of the different form types. Everything else on my site is Thrive. They have an form type called “scroll Mat” which is identical to the Welcome Mat. Wow, this is one awesome tutorial, I just starting using the thrive and couldn’t for the life of it figure out how to really use all of it LOL! You’ll set up the delivery email inside your email service provider (Mailchimp, GetResponse etc). Then, once you connect the email service to your Thrive form it should start triggering the email on form completion. I love Thrive! Use it on all my sites now. Not sure why it isn’t working on your Schema theme. As long as it is WordPress it should be fine. I’d contact their support forum. They are super responsive. It works great with Genesis. Thanks for the input, Hapedot! I haven’t used the asset delivery functionality because I want all my subscribers to be double opted in. That function (at least when I looked at it) did not encourage that process. But, still handy nonetheless.